Bob Hernan thought he was getting a good deal to take his daughter and two sons on a cruise so one morning last fall he used half of his monthly social security and took the vacation offer he got by phone. Sometimes the vacation deal offer comes in a voucher in the mail, others through a phone call or text; all promising a free cruise or special promotion. But when Hernan called to book the cruise for the Thanksgiving holidays; the sales person representing Caribbean Cruise Line came up with more fees that Hernan says were not mentioned when he bought the vacation package. His daughter, Mary Hernan, explained there was a $129 per person fee just to get on the cruise, the fee for gratuities and fuel surcharges, and on and on. The final price tag: $1,600. This was a vacation Bob Hernan could not afford. Mary Hernan went online to see what she could find out about Caribbean Cruise Line. “All I found were complaints,” Mary Hernan said. Caribbean Cruise Line, based in Fort Lauderdale, is more of a travel marketing company than a cruise line with hundreds of unsatisfied customers all over the United States and Canada. More than 500 complaints had been filed with the Florida Attorney General’s office and more than 1,400 with the Better Business Bureau, which gives the company an “F.” Most of the BBB complaints have been resolved. The Florida Attorney General’s Office said it is currently investigating Caribbean Cruise Line. Mary Hernan called the company and asked for a refund because the package wasn’t what her father expected it to be. But the customer service representative called her “stupid” and refused to refund the money. What the Hernans did not know is that Caribbean Cruise Line is in the business of selling travel packages, license records filed with the Florida Department of Agriculture and Consumer Services show. NBC 6 Investigators tracked down Robert P. Mitchell, president of Caribbean Cruise Line, to ask why he wouldn’t return Bob Hernan’s $600. Mitchell did not respond to our request for an interview. It turns out that businessmen connected with Caribbean Cruise Line have been in trouble for deceiving customers twice before; most recently in 2006 when they owned a company called Imperial Majesty. James Verrillo and Daniel Lambert got in trouble for practices similar to what Caribbean Cruise Line’s customers have complained about. Five years ago, a Florida judge banned Lambert and Verillo from “charging fees” above the “advertised fare” and ordered them to “conspicuously disclose the fuel …charge…” and ordered them to pay $16 million in fines and restitution. 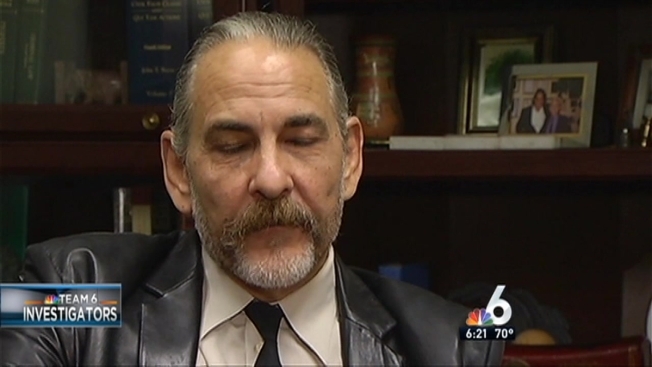 Joe Pappacoda is a Miami attorney specializing in financial misconduct. He said the state often has a hard time collecting penalties in these types of civil cases. “They don’t care if the corporation gets a $15 million judgment because the corporation is going to get dissolved and open up a new corporation,” Pappacoda said. In fact, Verrillo and Lambert did dissolve Imperial Majesty on Sept. 14, 2007, according to an affidavit filed with the Florida Attorney General’s Office, and they did not pay a penny, saying their company lost $1.3 million dollars “pursuant to its 2009 taxes,” the document shows. NBC 6 Investigators reached out to Florida Attorney General Pam Bondi’s office to see if Bondi would want to explain to taxpayers how she plans to recoup the money Lambert and Verrillo owe – with interest – about $12.7 million. But our request for an interview was denied. This was not the first time the pair had been in legal trouble for selling vacation packages. In 1999, Verrillo’s and Lambert’s pitchman was TV personality, Robin Leach. Their company was Plaza Resorts. Though Robert Mitchell is Caribbean Cruise Line’s owner of record, NBC 6 Investigators found evidence that both Verrillo and Lambert are connected to the company as well. Annual reports filed with the U.S. Department of Labor known as “Employee Retirement Income Security Act of 1974” shows Plaza Resorts – the company sued by 19 attorney generals – and Dan Lambert sponsors Caribbean Cruise Line’s employee stock program. Experts said a sponsor has to be part of the company. So where are the men who’d failed to pay the millions they owe in fines and restitution to Florida regulators today? James Verrillo owns a six-bedroom, 15,000-square-foot home in Lighthouse Point, which the real estate website, Zillow, values at $7.5 million. Daniel Lambert put this 9-bedroom, 18,000-square-foot-home in Fort Lauderdale in his wife’s name. The house is for sale for $17.9 million. Lambert has reportedly sunk millions into his fight club, American Top Team and is building a new 45,000-square-foot gym. As for the Hernan’s, they say the people involved with these companies are getting rich by exploiting honest, hard-working people. “The worst thing about this is they don’t tell you the truth,” Bob Hernan said. “He [Bob Hernan] trusts people. He purchased what he thought was going to be a great package that fit his family,” Mary Hernan added.